You deserve a vehicle that perfectly reflects your individual taste and style, and that’s exactly what we’re here to help you achieve at Starwood Motors. When it comes to customizing your vehicle, our experts are the team that you want in your corner. We handle every aspect of customization, with specialists handling everything from vehicle performance upgrades to interior and exterior options here at our Dallas facility. If you have a vision for your vehicle, we can help make it a reality. When it comes to performance, we’ve got you covered. Looking to add horsepower or torque under the hood? We have the superchargers and turbos you want. Eager to tear it up off-road or on the track? Our suspension options can get your vehicle lifted or lowered exactly the way you want. We handle interior and exterior vehicle customization for drivers throughout Dallas, Austin, Waco and Houston, as well. From specialty paint and custom bumpers to premium leather and upgraded audio systems, we can ensure that your vehicle looks just as good as it runs! 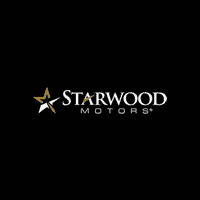 For more information on how to create the vehicle of your dreams, be sure to contact us online or to call the Starwood Motors team at (800) 348-9008 to schedule a visit today!